Strokes of Genius: Rembrandt's Prints and Drawings, National Gallery of Art, Washington, D.C.
Hind, Arthur M. A Catalogue of Rembrandt's Etchings. London: Methuen and Co. Ltd., 1923. White, Christopher and Karel G. Boon. 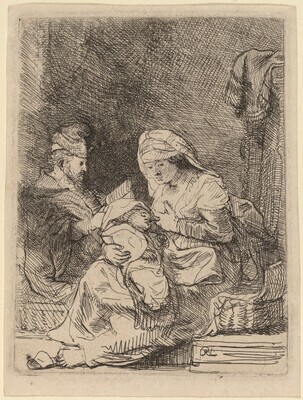 Rembrandt's Etchings. 2 vols. Amsterdam: Van Gendt & Co., 1969. The New Hollstein Dutch & Flemish Etchings, Engravings and Woodcuts, 1450-1700. Rotterdam: Sound & Vision Interactive, 1993: no. 114, only.